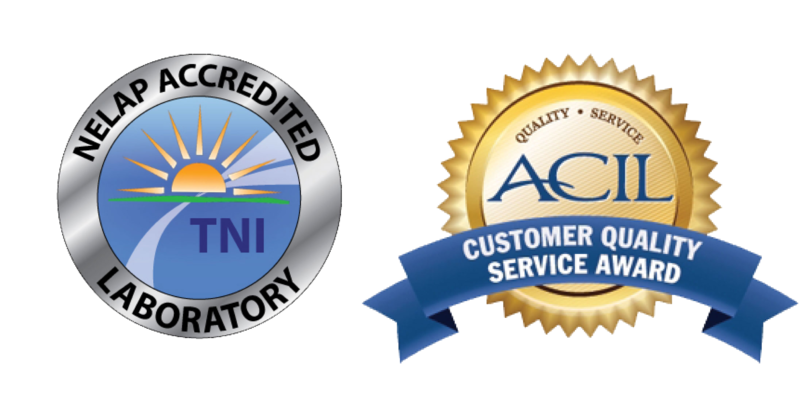 ACZ Laboratories has three water testing packages intended to meet the needs of local area homeowners, private well systems and real estate agents. The packages are partly based on State of Colorado drinking water regulations and the EPA’s primary and secondary drinking water standards. 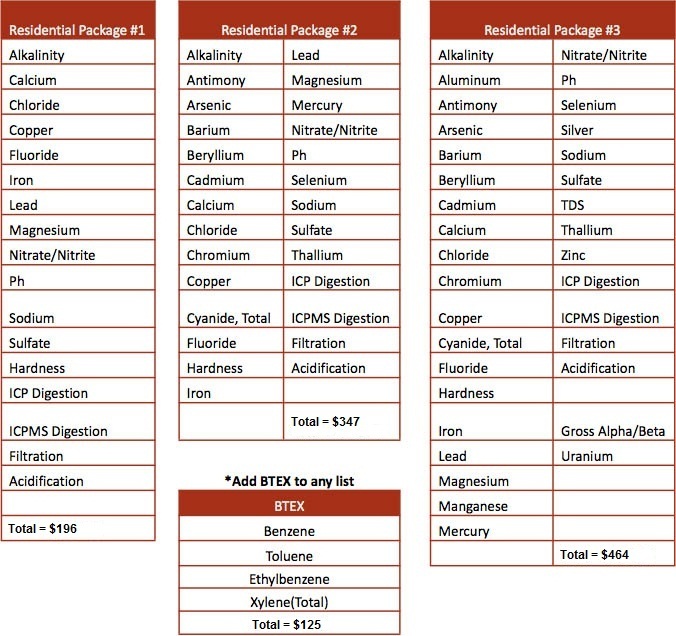 *BTEX analysis can be added to any of the three lists if organic contamination is a concern based on local oil and gas exploration or production near the groundwater well being tested (see below). ACZ is NELAC certified to run BTEX via EPA method 8260. This data should be used for screening purposes only.